Growing up on Moira Lake in Madoc, Ontario, one would assume I spent my summers fishing. In reality, I would go four to five times a year with my brothers and we would do the same thing every time: sit under the train bridge and drop a worm to the bottom. Believe it or not, it actually worked a few times and we even caught some big fish—but there was no consistency. 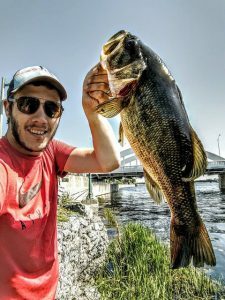 It wasn’t until my mid-twenties that I really decided to learn the ins and outs of fishing. I had just begun working as a camera operator for a fly-fishing television show and decided that I wanted to give it a try. I bought the cheapest fly rod I could find and headed to the Moira river, right downtown Belleville. I didn’t (and still don’t) have a boat so all of my fishing had to be attainable from shore. As I reached the edge of the water at the old Quinte Construction Association building on Station Street, I was blown away by not only the number of fish but the number of species. That was in 2008, and I’ve fished that spot every year since. Some people look at me a little funny when I’m fishing because I often target species that most ignore. 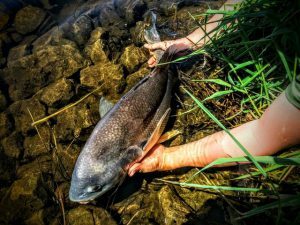 The way I look at it is if I’m just fishing for fun—and not to fill my freezer—then I don’t care what the fish looks like, in fact… the uglier the better. Below are some fish that people commonly ignore or even avoid, but I highly recommend you give them a shot. The gar is a prehistoric fish in every sense of the word. They’re long-bodied with skinny snouts that are packed with thousands of tiny teeth. In the early summer thousands of these fish travel up the Moira river to the first dam to spawn. At this stage they can be difficult to catch, but not impossible. You see when fish are spawning they are often not interested in anything else, like eating. However if you have a little patience you can get them to eat something like a Jerk Bait or a Streamer (fly-fishing). You will need to take extra care when landing one of these beasts as they’re not easy to hold on to and can deliver a nasty bite. Sheephead are often considered “trash fish” as they are not much for eating. But, if you just want to catch big fish that will give you a great fight, a sheephead might be for you. 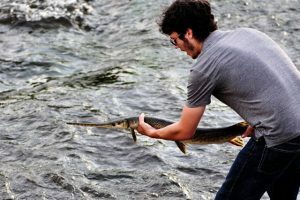 Like the gar they are not a sport fish, meaning there is no season for them. 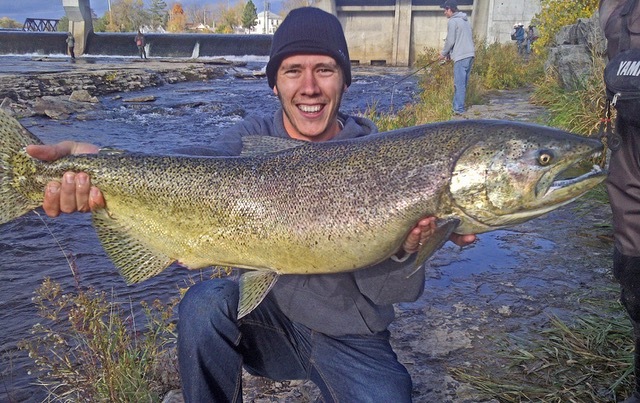 That being said, you still need to ensure that the water in which you are fishing for them is open for the season. Sheephead can be very skittish, but if you use a light leader (maybe 5-6 lbs) and a lure/fly that resembles a crawfish you can entice them to eat in shallow waters near the shore in the early to mid- summer. These guys are ferocious fish that can reach over 10 pounds—and they are the most willing to eat out of any of these fish. 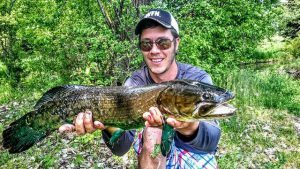 They don’t generally travel in schools like the gar or the sheephead; when you find one, put just about anything dark in front of its face and it will eat. The coolest part of these fish is that they glow bright blue when you hook one and they instantly start to cartwheel in the water. You will also find them in shallow warm water near the shore.